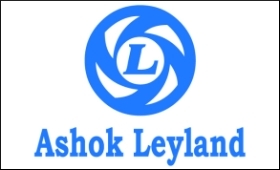 Commercial vehicle major Ashok Leyland Ltd will soon launch a 13-seater passenger carrier vehicle and a light commercial vehicle (LCV) which will have goods carrier and ambulance variants, said a senior company official. "We will soon be launching Dost Express - a 13-seater passenger carrying vehicle. We will also launch another LCV named Partner," Ashok Leyland's vice chairman V.Sumantran told reporters in Chennai on Thursday launching multi-purpose vehicle (MPV) STILE. It is priced at around Rs.7.49 lakh at the lower end and Rs.9.29 lakh at the top end. Officials said the vehicle's local content ranges between 80-92 percent based on the variant.